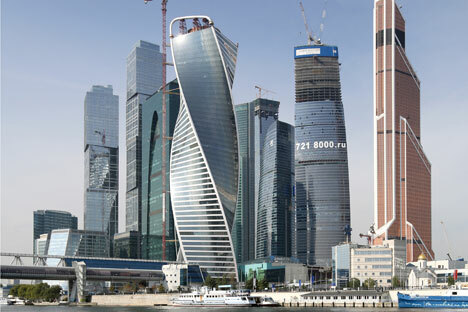 Financial future: the Moscow-City business center. Russia’s position in the Doing Business rating is a big achievement, First Deputy Prime Minister Igor Shuvalov said. "It is big achievement. In 2012, Russia’s President instructed the government to improve the investment climate. This task is not new but it began to sound new in particular because we should world with the World Bank, protect and improve our institutions of doing business in Russia. From 120th place we jumped to the 40th one and this is a big and serious work, both on federal and regional levels. We still have where to go further, we should reach 20th place," he said. On Oct. 26, the World Bank published its annual rating Doing Business-2017, where Russia ranks 40th. In 2012, Russia ranked 124th in that rating. In 2016, Russia moved to 51st place. However the methods of calculation of the World Bank’s rating changed earlier this year. Considering those changes Russia could have been on the 36th place already in 2015. Russia’s President Vladimir Putin issued decrees in May 2012, where he in particular set the task for the country to reach the 20th position in the rating of the World Bank by 2018.